A wonderfully detailed Cathedral as well as excellent local beers and beer halls are what Cologne is best known for. But this city was founded by the Romans, so if you peel back the layers of post-war concrete you can see traces of all sorts of architecture, and a long and colourful history. Book one of our recommendations for the best places to stay in Cologne and all this will be a stone's throw away. Cologne also has a reputation for being one of the friendliest and liveliest cities in Germany. It's not clear where this reputation stems from, but maybe it's the good cheer flowing out of the beer halls? Some of the best beer halls are in the Altstadt, the older part of town, and along the river, so you can combine several of Cologne's pleasures very easily by sitting outside with a stein enjoying the view. 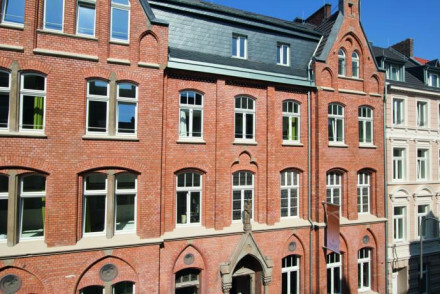 Cologne is also one of Germany's business centres, so some of the best places to stay in Cologne are actually business hotels. As well as the big brand names, Cologne also has smaller boutique options, hostels and even campsites. Regularly voted the single most popular tourist attraction in Germany, Cologne Cathedral, or Kölner Dom's wonderfully detailed spires are the first thing you'll see if you arrive in Cologne by rail. Otherwise, they're what you'll walk towards to get your bearings. Very Gothic and very German, this building sustained fourteen hits by aerial bombs during WW2, but its twin spires survived to stand tall. The rest of Cologne was famously flattened. The inside of the cathedral has even more wonders than the outside. It houses the 'Shrine of the Three Kings', an ornately cast multi-tiered gold sarcophagus containing the bones of the three wise men, as well as a wealth of important art and relics. If you've the legs for it, it's worth visiting the top of the tower - there are 509 steps. If you really want to experience the wonder of the Dom then attend a service. On Sunday mornings there are services on the hour until midday, and then at five o'clock and six thirty. On other days of the week there are services at seven fifteen, eight o'clock and nine, and then at six thirty in the evening. Local beer is called 'Kölsch', and traditionally served in 200ml glasses, so that you're always drinking it fresh and cold. Beer hall waiters are generally quick to serve you a fresh drink and the usual way of marking out your bill is via the marks waiters leave on your coaster. If you want to buy Kölsch to take away the main brands are Reissdorf, Gaffel, Mühlen and Früh, but there are at least 30 other local brews. Some of the local breweries serve excellent traditional food too. Local Rhineland classics include fried black pudding, red cabbage, boiled bacon, white beans, flat fried potato cakes and beef or horse meat joint marinated in vinegar and sultanas. This is Germany so it's heavy on the meat, specialising particularly in a wide variety of sausages. Some of the best bars and breweries are south of the cathedral, so this is one of the best places to stay in Cologne if you're planning on enjoying Cologne's hospitality to the full. The National Socialism Documentation Centre is a brutally honest look at Cologne's Nazi past, as well as more generally shedding light on the horrors of the Holocaust. The Roman-German Museum houses a wonderful collection of artefacts and sculptures from the Roman period. Koelner Zoo, Germany's largest, is a fantastic option for a family day out. Museum Ludwig is a fabulous modern art museum, with works from a number of masters including: Picasso, Dalí, Warhol and more. A wonderful spot. Cologne's Christmas Market, with its fabulous smells, bustling stalls, warming mulled wine and huge tree, is a splendid way to get in the festive spirit. Don't forget that Cologne is a popular year round destination both for business and leisure travellers. So if you want to guarantee a room in one of the best places to stay in Cologne, do your homework and book well ahead. Sitauted on the banks of the Rhine, the Old Town is where to stay if you want to be right in the city centre. Most of our recommended properties are in the Old Town, but this one is particularly central. 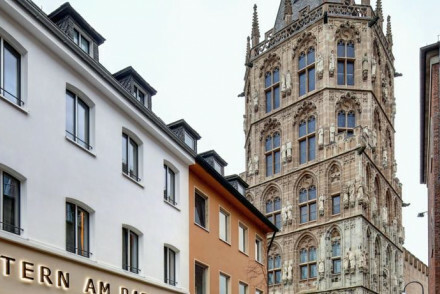 The Dom Hotel is located right in the historic centre of Cologne. It's stumbling distance from the Cathedral and the Christmas Market is right on your doorstep. 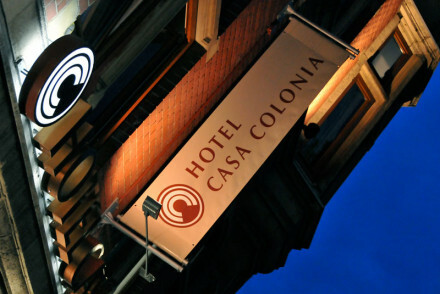 Casa Colonia is ideal if you want somewhere small and modern in the centre of town. They do a hearty breakfast and have all the mod. cons. you need to be comfortable, with the personalised service you get where there are only 13 rooms. Families will want to book their suite, one of the best places to stay in Cologne if you're looking for an easy self catering option. Hotel Burns Art is a super chic spot boasting rooms with king sized beds and a few self-catering suites for longer stays. Whilst it's not that central, you have easy access to the underground, and the harbour's also just a short walk away. Set in a traditional 1900 building, Hopper Hotel St Antonius offers sleek, clean and contemporary accommodation with marble tiled bathrooms. Tuck into French cuisine at the restaurant and make the most out of your location to truly get to know Cologne. Its sister property, Hopper Hotel St Josef, is a similarly chic experience - with rooms featuring clean lines and wooden floors as well as various pieces of artwork dotted around. The Qvest Hideaway wonderfully mixes original features - think vaulted Gothic archways and plenty of marble - with chic contemporary rooms. Boasting its own private art gallery and located just a short walk away from the sights, it's an ideal couples retreat. Humboldt1 is a hip spot featuring atmospheric dark hues, leather headboards and chandeliers. Enjoy evenings in the elegant piano bar or head out to any number of nearby bars. 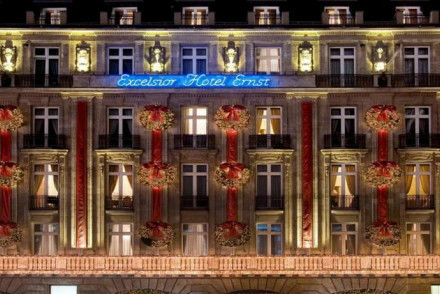 Excelsior Hotel Ernst is a classy base from which to get to know Cologne. This palatial spot boasts luxurious accommodation with marble bathrooms, as well as a Michelin star restaurant and Piano Bar. 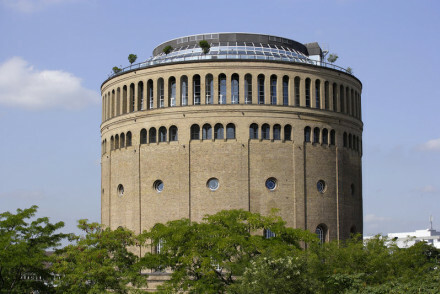 If you're looking for something unusual book the Hotel im Wasserturm. As you might get from the name, this building was originally a water tower, but has been converted with style and flair into a business hotel with some 'boutique-y' touches. There's also a spa. But one of the best spots in the hotel is the rooftop restaurant, from which there are wonderful views of the whole city. For the best weather visit Cologne in the summer, with the average daily temperature rising to 18°C in July and August. That said, this is peak season so expect there to be plenty of tourists around and accommodation to be more expensive. If you fancy a cheaper and quieter alternative then consider visiting in spring or autumn. Despite being pretty chilly, Cologne's also wonderfully atmospheric if you visit at Christmas time. International visitors can fly into Cologne Bonn Airport, located 9 miles southeast of the city centre and seved well by public transport links to the city and surrounding area. Browse through our list of all the best places to stay in Cologne. Widen the net to search through our recommendations of all the best places to stay in Düsseldorf or Frankfurt. 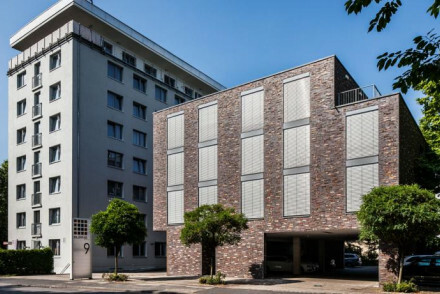 A superb hotel right in the middle of Cologne's historic centre offers luxury rooms ideal for business or leisure travellers. Rooms are chic, cosy and functional and provide home like comfort. A cafe on site serves breakfast and light food. Several restaurants, shops and monuments close by. Wonderfully unusual hotel, previously a red brick water tower. Chic contemporary interior design throughout spacious rooms. Fabulous roof top bar and restaurant, breakfast garden, and spa. Trendy, stylish, luxurious. 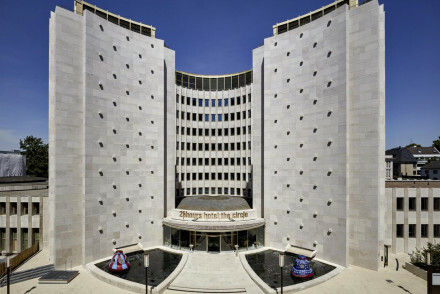 This boutique design hotel is located in the centre of Cologne in a striking 60s rotunda. Interiors are based on the concept of 'retro-futurism'. Rooms are open-plan with exposed concrete ceilings and hand-selected design pieces; the best have a sitting area and bathtub. A stylish downtown hotel. Uber cool and a super artsy chic hotel located on a quiet street of Mülheim. Unique and amazingly creative art can be seen in the hallways and rooms. They also offer apartments with kitchens for long term stays. Rooms are airy with comfortable bedding and clean designs. Fashionably elegant. Local exploring - Easy access to the city from the underground, and right next to the harbour and the charming Rheinpark gardens. City Style - King size beds, comfortable and friendly rooms with plenty of natural light, clean design and warm maple wood. Sights nearby - The Cologne Cathedral and the LANXESS Arena are nearby. 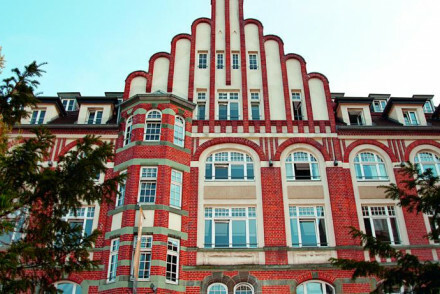 Chic hotel in 1900 building, just five minutes from Rhine River in Cologne centre. Rooms have contemporary wooden furniture and marble-tile bathrooms. Restaurant serves French menu, also a gym and sauna to enjoy. Magnificent displays of art and sculptures at the hotel. Rooms are chic with wooden floorings and bathrooms have natural marble. In a great location close to the Old Town and shopping areas. The restaurant overlooking the courtyard houses valuable paintings found during restoration work. City Style - A former chapel in southern Cologne, boasting sleek contemporary decor with oak flooring, walnut furniture and natural stone. Local exploring - An ideal bolthole in the city, just two minutes from the Rhine, and the Old Town and the vibrant Severinstrasse Street. Sights nearby - Rheinauhafen harbour is just a short walk down the road and the Cologne Cathedral cannot be missed. Design hotel in old city archive building for the well-heeled weekender looking for a central but quiet base. Luxury accommodation, a private art gallery, and trendy bar set in a relaxed neighborhood with fantastic links to the city. A chic stay for design-lovers. 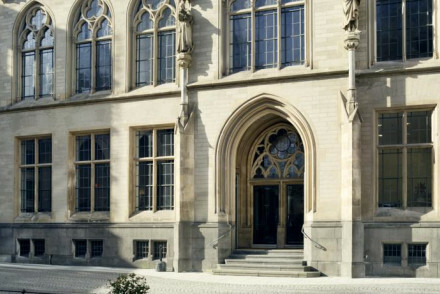 A grand palatial historical hotel in the centre of Cologne. 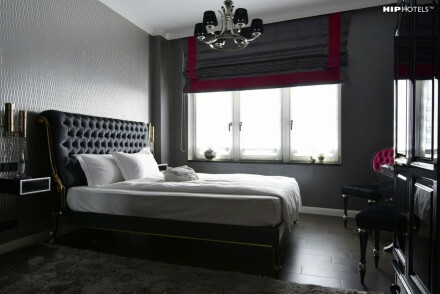 Luxurious accommodation, a Michelin star restaurant and live music at the Piano Bar. Rooms are opulently furnished with carpeted floors, wood finishes and marble bathrooms. This 5 star combines style with elegance. Very chic. City Style - A lavish and extravagant hotel with super luxurious rooms in the city centre featuring all 5 star amenities. Foodies - Taku, a Michelin starred restaurant serves exotic Asian dishes. Highly recommended for food lovers. Sights nearby - The hotel is directly opposite the stunning Cologne Cathedral, the largest in Northern Europe. Local markets - There are many shops, restaurants and bars located close by. A trendy hotel in the heart of Cologne. Romantic rooms feature rich hues, glittering chandeliers and plush leather bed-heads. A glamorous bar, complete with piano, is the perfect place to while away an evening. With easy access to shops, restaurants and many city sights this is a chic choice. Local exploring - The ideal base for city exploring, within walking distance to many of the cities major attractions. City Style - A hip hotel in the heart of Cologne complete with an elegant bar for evening entertainment. Sights nearby - Be sure not to miss the famed Cologne Cathedral.